This APPLICATION is made by interested candidates who wish to serve on the Board of Trustees in governance of the Theatre and its operations. Those wishing to serve as a volunteer Board member should have a vested interest in The Rep as a continuing and vital part of the cultural fabric of our performing arts community. Board member responsibilities will vary from time to time, but will generally follow those responsibilities outlined herein. This is an application of interest that is required to be reviewed by the Executive Committee of the Board and voted upon by all presiding and active Board members. Please note that The Toledo Rep utilizes a Working Board structure. You will be expected to Chair or Co-Chair Committees that need leadership and have a more hands on approach in the continued success of the Theatre. Those wishing to serve should have a vested interest in and a strong allegiance to the Toledo Repertoire Theatre and its continuation as a vital part of our Toledo community. Please list any community theatres, performing arts organizations, or performing arts educational organizations, with which you are affiliated, however infrequent, and the position held or capacity of your involvement with each. Your commitment as a Board member begins with a signed Code of Conduct and with the purchase of a season subscription, purchased annually before the opening night of the first Mainstage performance. Your financial support as a Board member includes either a personal contribution or solicited season and advertising sponsor at the minimum value of $25 and show sponsorship at the minimum value of $100 in accordance with the Sponsorship Grid. You are obliged to help solicit support for donations, season subscriptions, and in-kind gifts from both public and private institutions. According to Article IV, Section 5 of our bylaws, "No Officer or Trustee shall receive any compensation for his or her services to the organization, but the Board of Trustees, in its discretion, may order the payment or reimbursement of any reasonable expense incurred by its officers or members in furthering the business of the Association". I understand that as a Board member I vow to keep Board and other Toledo Rep related matters confidential at all times unless warranted for legal reasons. At no time will I divulge theatre-related matters, topics, or issues to outside persons, including friends, colleagues, or other theatres. 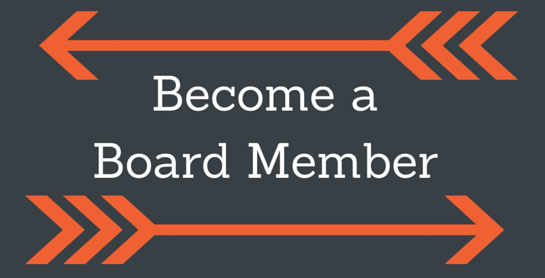 Board members are to be actively involved as participating committee members, ideally serving as the Chair of a specific committee that oversees supporting Theatre operations not covered by Staff. Committee chairs have regular meetings and oversee the work of their committees, whose participating members are the responsibility of the Chair. All Board members may make contributions to other committees, however, to optimize workload, scheduling and function, only those meeting with the committee more than 80% of the time will have voting privileges on the committee. Participation is recommended to be limited to Chair of one committee and participation in 1-2 additional.